Whether it's a starter home or luxurious new construction, our knowledge of local neighborhoods and hours of study as licensed appraisers make us qualified to provide home valuations in Pulaski County for clients ranging from national mortgage companies to local lenders or individual businesses and consumers. 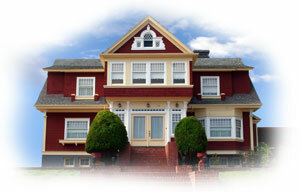 Technology plays a high profile role in how Robert W. Bennett Real Estate Appraiser does business. It helps keep fees down while simultaneously achieving high quality and service. And first and foremost, we are aware of the importance of professional customer service. You'll be extended the utmost courtesy throughout the course of working and communicating with Robert W. Bennett Real Estate Appraiser. In the end, what it boils down to is simply the best possible experience for our customers. Call us. We guarantee you'll see the difference, too. Looking for a residential appraiser for Estate or Trust Appraisals, Fair Market Value Estimate, Insurable Value estimate, Taxable Value estimate, or just curious about the Present Value of your Home or Investment to get your true value estimate? Additionally since I am a Real Estate Licensee in the State of Arkansas I can provide Broker Price Opinions (BPO,BVO) in the assisting of Sellers for determining asking prices for potenial sale or liquidation. Welcome to my website. I am a leading provider of real estate valuations and appraisals for the greater Little Rock Metro area and surrounding Cities and Counties and many parts of the state of Arkansas. To name a few we regularly perform single family residentia appraisals, Home Warranty Compliance Inspections, HUD Compliance Inspections, Construction Draw Request Inspections in Little Rock, North Little Rock, Jacksonville, Benton, Bryant, Lonoke, Gravel Ridge, Sherwood, Cabot, Ward, Mayflower, Conway, Greenbriar, Sheridan, Beebe, Searcy, Ward, England, Scott, Keo, North Pulaski County, Saline County, Grant County, Lonoke County, White County, and many parts of rural and urban Arkansas. With many years of experience in the business since 1974, I have a proven track record of estimating value using the appraisal process for various clients needs and requirements. Through my website, by fax, or by personal phone call to me direct, the ordering an appraisal is just a click or dail away. Or spend a little time to find out a bit more about the appraisal business. The more you know, the better decision you can make.